Work by scientists from Queen’s University Belfast on ionic liquid chemistry is in the running to be named the most important British innovation of the 21st Century. The work of staff in the Queen’s University Ionic Liquid Laboratories (QUILL) Research Centre is up against 11 other innovations from across the United Kingdom battling it out in a public vote to find the one that will have the greatest impact in the coming century. The vote is part of the Science Museum’s Initiative on Great British past and future Innovations. Other notable British innovations in the hunt for the prize are Quantum Dots, Graphene, Raspberry Pi and the discovery of the Higgs-Boson – you can vote for your favourite here. Update Monday 25th March – Ionic Liquid Chemistry was voted the recent innovation that is most likely to shape the coming century. 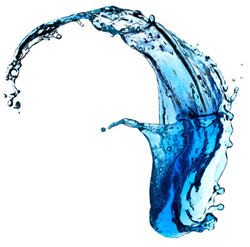 Why not take a look at a collection of high quality research in this area from across RSC Journals – Increadible ionic liquids: an article collection.